The Timba, a neat little hand drum, stands out from the Bateria but also requires special attention if you want to exhaust its whole potential. Developing from elementary grooves, solo playing will be systematically worked out, laying the basis for improvisation. As the basis for this is always the quality of sound, various beating techniques will be polished up during the entire workshop. 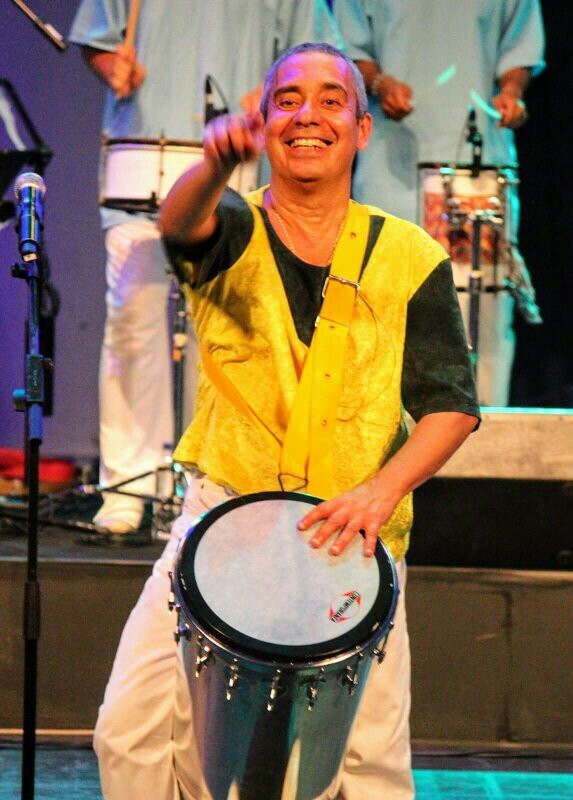 The emphasis will be on modern rhythms – The Timba is, after all, a relatively young instrument and has inspired the Brazilian music of the last twenty years more than any other drum.